You are currently browsing the Archaeofacts.com archives of Musings for the day Saturday, May 27th, 2017. After days of a sheep-decorated landscapes, we just have to note: no sheep (here). Not a one. But here the trilliums are busting forth. 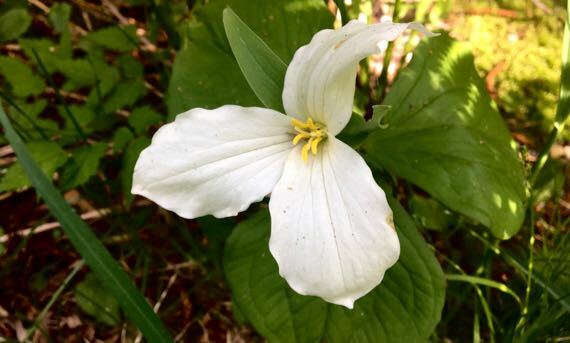 Love me a trillium. So a carpet of them leaves me breathless. 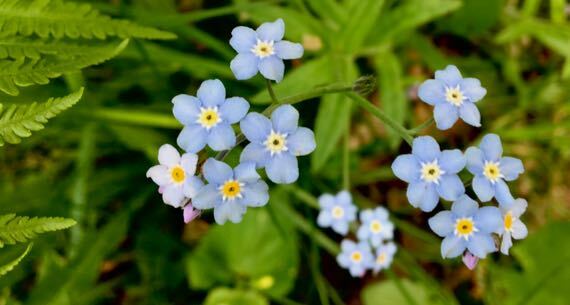 I had not realized that the carpet of trilliaciousness* can be accompanied by an equally glorious showing of forget-me-nots. I am slightly more educated in wildflowers after today’s reveals. I took both these photos are right by our northwest downspout. I didn’t have to venture into the woods, or even someone else’s woods, to obtain them. Happy woods-wandering! Maybe you can find a floral vision that’s equally spellbinding….